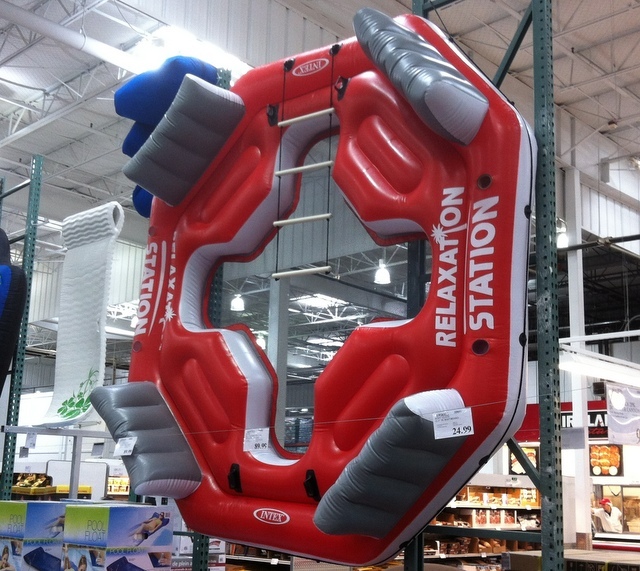 When thinking about spending spring break in Orlando and Central Florida, most college students are thinking about the beaches throughout the state of Florida, the theme parks, or the water parks. However, there is a little party oasis along the Wekiva River called Wekiva Island that reaches capacity by 10 AM on many days and looks like a college football tailgate on game day with drinking, bbq, and music. 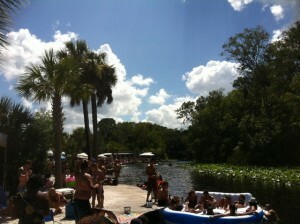 Wekiva Island is the ultimate college spring break spot in Orlando year-round. Wekiva Island is a little bit hidden in Longwood, Florida that is nearby the popular and better well-known Wekiwa Springs State Park. 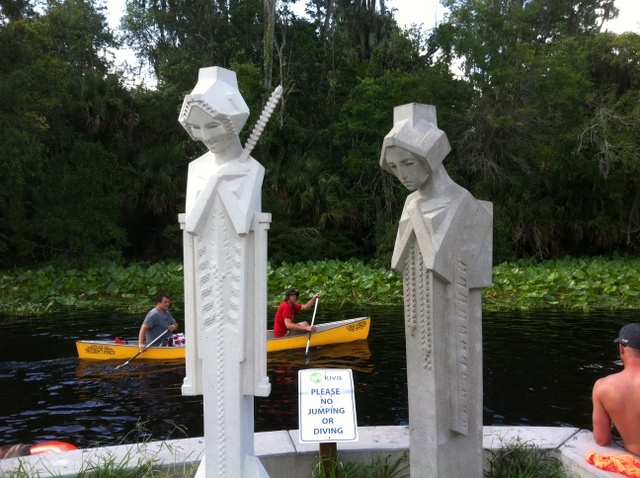 If you are looking for a more family-friendly spring break destination, the park is a better choice and also reaches capacity frequently during the morning and has canoe rentals that will have you boating down the Wekiva River and past Wekiva Island. Wekiva Island is the place for the party crowd that wants to have a few drinks at the Tooting Otter Bar. However, the place to be is along the river in one of the cabana tents that your party can reserve from anywhere between $75 and $250. At the private cabanas, barbecue grills and covered seating is available. Each cabana is 12’x11′ in size and comes with a couch, rocking chair, and two Adirondack chairs. Cabinets allow you to store and secure what you have brought for the day (see video below). The cabana tents have become so popular that you have to wonder if the water parks at Disney World and SeaWorld got the idea for their own VIP cabana’s from the success that Wekiva Island has had with them. In addition to the cabana’s and the bar, Wekiva Island has volleyball courts, horseshoes, canoe rentals, kayak rentals, fishing, boating, and swimming in the Wekiva River. Wekiva Island is located at 1014 Miami Springs Road; Longwood, FL 32779. Hours are 8 AM until 7 PM Sunday through Thursday and 8 AM until 11 PM on Friday and Saturday. Click here to visit the official website of Wekiva Island for more information about their current rates and options and click here for more information about spending spring break in Orlando. This entry was posted in Recreation and tagged beaches, canoeing, longwood, march, memorial day, parks, spring break, summer, water parks. Bookmark the permalink.